Bulldog Pizza. It’s Dawg-gone good. A cheese and pepperoni pizza are ready to bake. Do you go to school? Does your school have concession stands? What kind of food, not snacks, but food, do they sell? Do they sell pizza? If they do, is is good. If not, you should come visit Scott High School on game days and try some of our Bulldog Pizza! Ok, totally sounded like a commercial there, but it’s true! Scott High has a little pizza joint and it’s seriously amazing! That may or may not be biased, but still, it’s good. The pizza is handmade and absolutely fresh. The dough is made by Mr. Frederick Borden, a teacher at Scott. 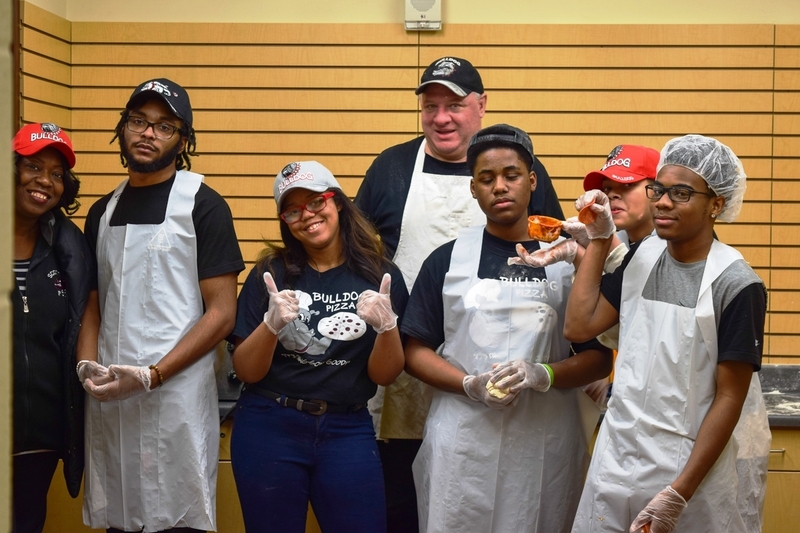 The actual pizza is made by the students of Bulldog Pizza. They are students that attend Scott High. 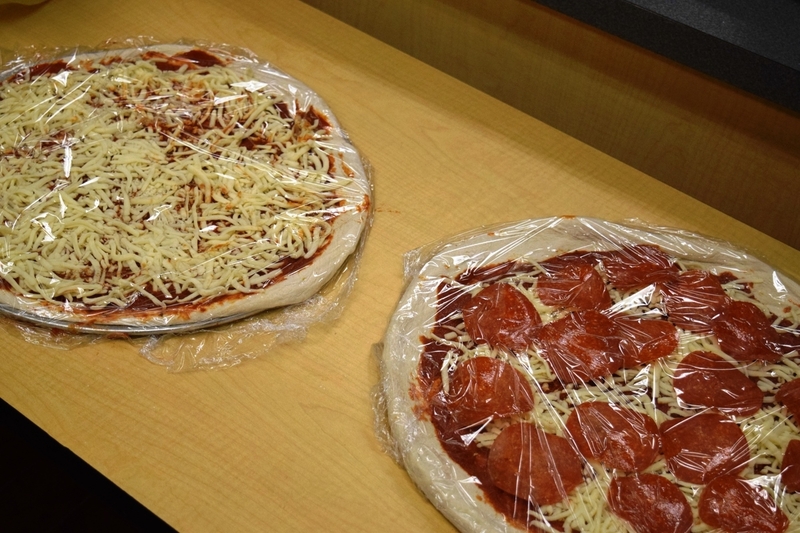 Students work to assemble the pizzas. Someone rolls, another sauces, one person will cheese, and, when needed, someone will put pepperoni on a pizza. The cost is two dollars a slice. Free pizza is given to the security guards, and usually to the coaches of the basketball games. They sell about twenty pizzas per game, a hundred and sixty slices. “We use the profit to buy slip resistance shoes, state id’s, and to visit restaurants around Toledo,” Borden says. They’ve made more than cheeses and pepperoni pizzas. Also they’ve made some of them with ham, and some with chicken. They also put them both together with pepperoni and called it meat lovers. Recently they did a chicken with spicy BBQ sauce, and it turned out great. At least the customers seemed to like it. “We are trying to create some different pizzas such as chicken or vegetarian.” Borden says. He says he loves working for Bulldog’s Pizza, the club he started five years ago. He says, “We are not allowed to pay the students any money, but we can use the money to buy them things. Visiting restaurants is our favorite thing to do. Our club gets a tour of the restaurant and a chance to submit job applications. They also get the chance to interview the manager or chef of the restaurant.